TradeDice can supply dice and counters to e-commerce sellers who do not have a physical store front. We do not limit our customers to bricks and mortar stores, unlike some wholesalers. If you want to sell our product lines on any e-commerce platform, from the big players like Amazon and E-Bay to your own niche website, then please fill in our Trade Application Form to apply for a trade account. Our stock is competatively priced so even with Amazon and E-Bay selling fees, you can be sure of a good profit. We sell direct on Amazon and E-Bay under the Legendgames store front, so clearly you will be wondering how you can beat us on price.... We tend to sell at a higher price than most of our customers. We'd rather sell direct to YOU in bulk than to hundreds of individuals. We no longer use re-pricing solftware, and we try to list at RRP or higher to ensure that our trade customers are not being undercut. 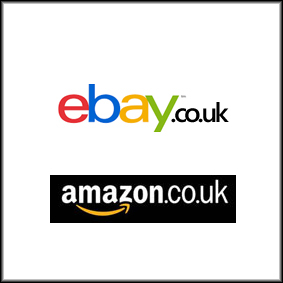 If you urgently need to supply an AMazon or Ebay customer with an item you have run out of, let us know - we can ship direct under YOUR name to help you out on the odd occassion. We do NOT support massive discounters - if your business plan is 'stack it high, sell it cheap' from your back bedroom, we are not likely to supply you. We prefer to work with long term stable businesses who have a clear business plan and can demonstrate a commitment to the industry. It is very easy to sell online for a small margin if you have few comercial overheads, but we find this kind of trader lastes a few months then folds, as another rises up to undercut them - its not good for the hobby, its not good for UK workers and businesses.